Horses have an amazing power to heal the mind, body and spirit. There's just something magic that happens around horses. It takes an army of volunteers to run our programs. We're community funded and every dollar counts. Horses have an amazing power to heal the mind, body and spirit. 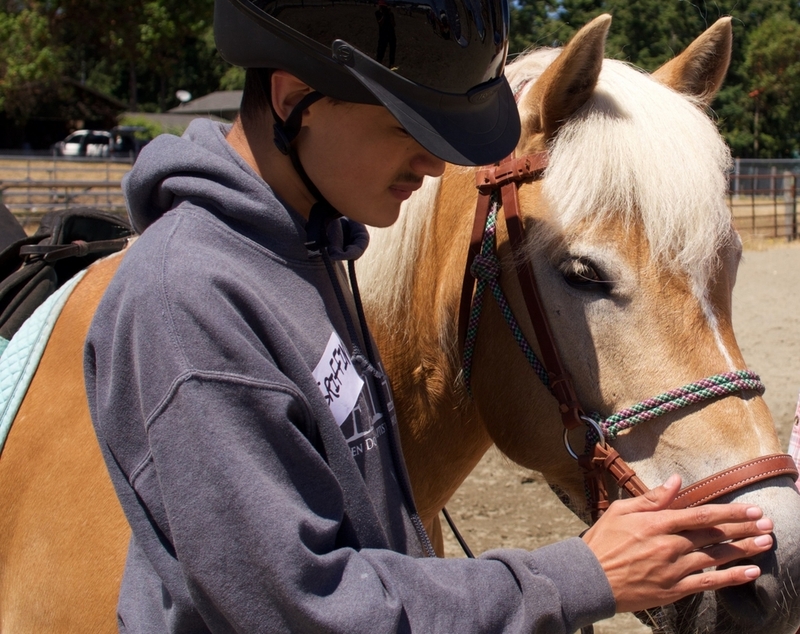 Salish Spirit is a volunteer run non-profit organization dedicated to improving the lives of individuals in our community through positive interactions with horses. We run our programs from Port Townsend, WA, but serve people from across the peninsula and from as far away as Seattle. Save the date March 23rd for our 3rd annual cowboy ball! Get more details. Our organization could not function without our wonderful volunteers. There are lots of ways for you to get involved--even if you're not into horses! If you or someone you know are interested in having a spot in one of our programs, we'd love to hear from you. Find out more and apply for a spot. Our programs depends on grants from other non profits and donations from private individuals. Find out more about how you can make a donation.